Item #1- The Month of Mud race series begins. In the past we've had several riders compete in this series. We've had good times. 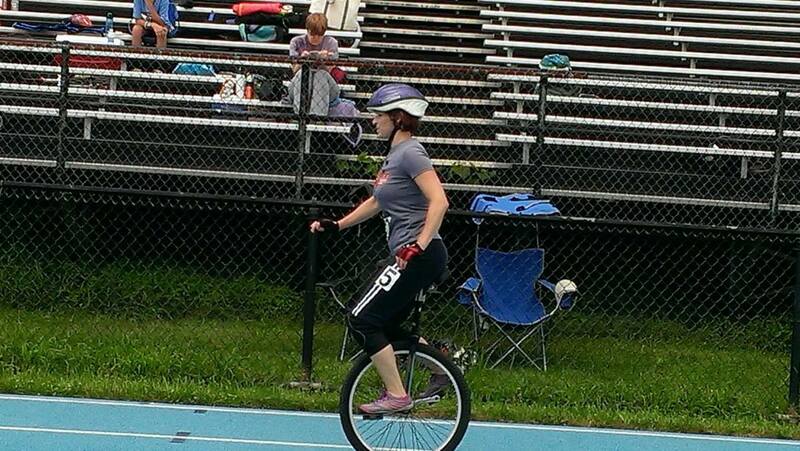 Hopefully this is the year we can get 5 riders to each race to make an official unicycle class. Check the link for dates. Note: you should be an Advanced level rider to race all but the cyclocross race. As far as cyclocross goes, you must be able to control your uni and freemount. If you can do those things, join us on Oct. 20th! Item #2- The Wheel Mill mUni Mondays are shifting to Fridays to join Family Night! 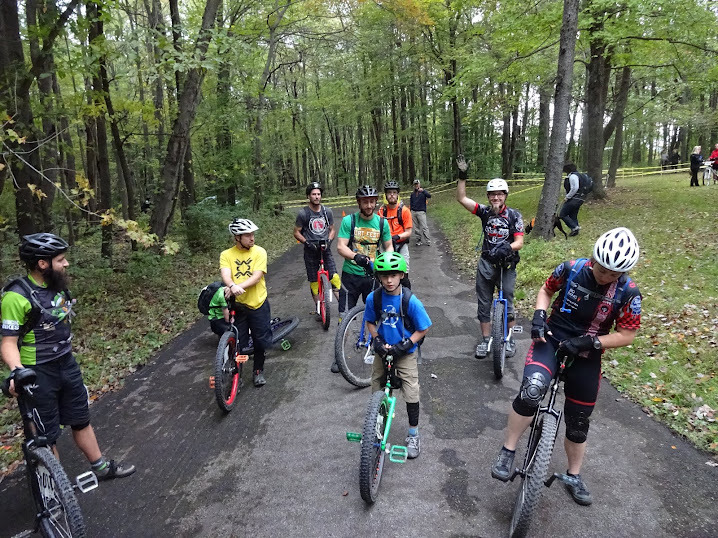 This is exciting as we can get the whole family to try unicycling at The Wheel Mill. For September and October we're committing to being there every other Friday (the odd dates), although the discounted admission and welcome mat is out every Friday for uni riders. We're alternating so we can still do the downtown rides here in Butler until Daylight Saving Time kicks in. Once that does, we'll be carpooling to 6815 Hamilton Ave. weekly! Item #3- November 2nd is our first day indoors at the Butler YMCA. As always this is a FREE to you adventure. We have extra unis. You will need a signed waiver and a helmet to ride. We have extra helmets, but you are better off with your own. Without the Y we wouldn't be the Butler Wobble. 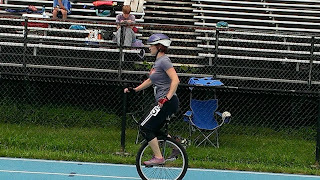 So if you're currently a unicyclist, join us for as many of these events as you can. If you are not yet a unicyclist, please give it a go either at The Wheel Mill (there are unis there you can try for free after paying your admission) or at the Butler Y. As always, we ride because it's fun. It's also good exercise and good for learning balance. It's relatively safe too. We don't ask that you give up other activities that you enjoy, we just ask that you give unicycling a try. Who knows?- maybe you'll like it.